I am pleased to share this individuality factsheet from the Twins and Multiple Births Association (Tamba). The factsheet is a terrific guide chock-full of important reminders and tips about how we can enhance our multiples’ individual selves. I especially appreciate how it emphasizes the influence all of us can have on promoting individuality. As I have mentioned in previous posts, Tamba is an organization based in London that provides services and care for multiple-birth families throughout the United Kingdom. In addition to offering outreach to families and communities, Tamba is active in supporting policy changes for the health and welfare of multiple-birth families. Moreover, Tamba’s team members provide invaluable educational materials such as this factsheet. 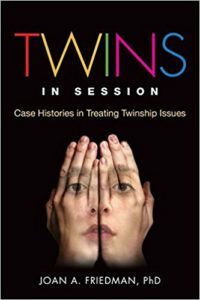 I am so appreciative that they have given me permission to share their significant contributions to understanding twin connections. Click here to access the factsheet. Photo courtesy of Donnie Ray Jones (CC BY-SA 2.0).